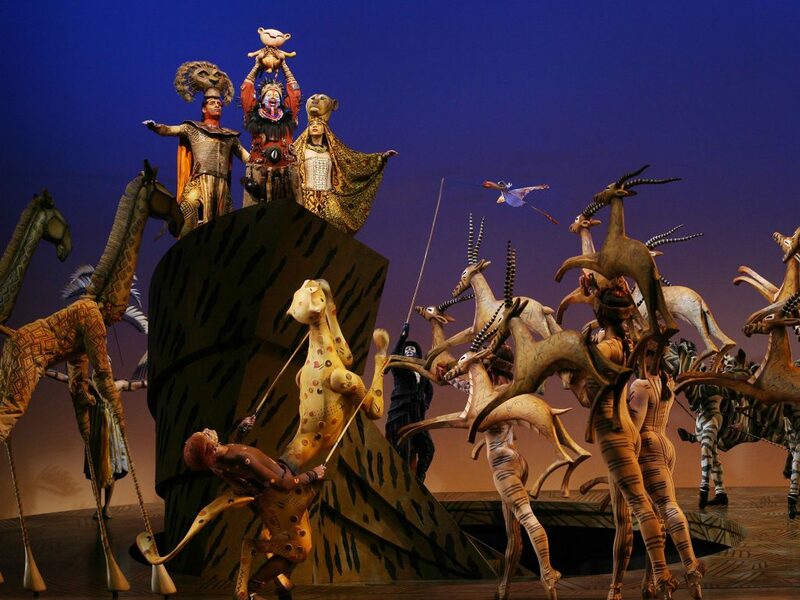 The Lion King is the most popular theatrical adaptation of a Disney musical animation. It has won 70 major international theatre awards worldwide and is the third longest-running show on Broadway. It continues to receive positive reviews from theatre insiders and fans alike. The Lion King begins with King Mufasa training Simba in royal duties, earning the jealousy of his younger brother, Scar. Scar carries out plots to dethrone Mufasa in order to claim the throne for himself. He eventually eliminates Mufasa in the process and drives Simba off to exile. Simba lands in a desert after his exile. This is where he begins his carefree life with his new friends Timon, Pumbaa and his childhood friend and eventual sweetheart, Nala. Simba’s carefree days are disrupted when he encounters Rafiki, a shaman, and advisor to Mufasa. Rafiki then tells him to save the Pride Lands from Scar’s evil and selfish reign. Upon returning to the Pride Lands, he confronts Scar and asks him to leave and never return. In the end, Simba finally fulfills his destiny and becomes the new king. The grand musical production is definitely a feast for the eyes and the ears. It features elaborate costumes and over 200 puppets depicting the different kinds of animals in Africa. It also uses seven African dialects, namely Swahili, Zulu, Xhosa, Sotho, Tswana, and Congolese to narrate Simba’s story. 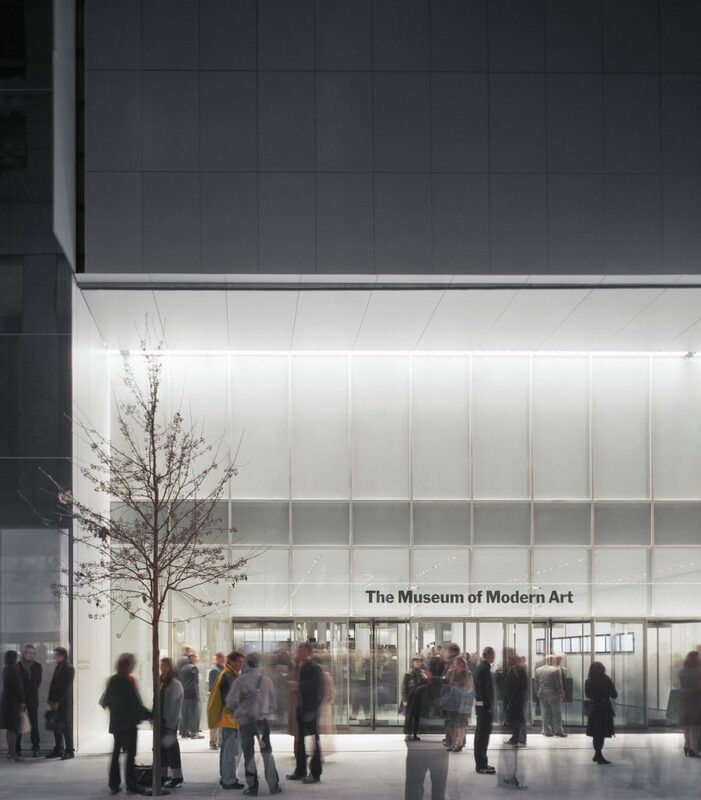 MoMA is the leading modernist art museum in the world, with 150,000 various works of art on display. The museum features paintings, architecture, performance art and film in its many exhibitions throughout the years. Admire the beauty of Claude Monet and Vincent Van Gogh’s paintings up close or delight yourself with Andy Warhol’s iconic pop art creations. Remember Marina Abramovic’s memorable and emotional installation performance piece back in 2010? That was held at MoMA. You can also browse through artworks in temporary exhibits in the museum during your visit there. 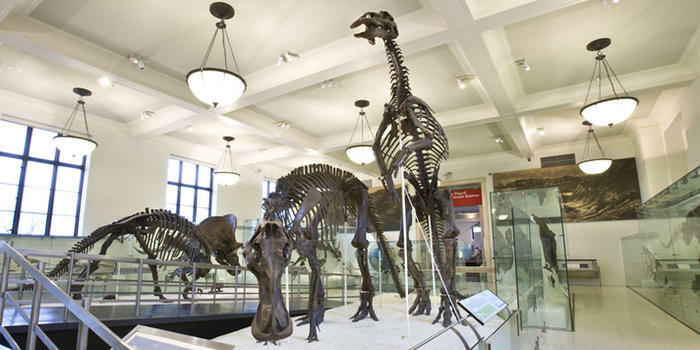 The American Museum of Natural History features one of the largest collections of natural and historical artifacts in the world. Their vast collection includes exhibits about the earth and outer space, dinosaurs and prehistoric life, creatures from the deep ocean, and even the human body. They also have a “Night at the Museum” tour, named after the blockbuster movie franchise that was filmed at the museum. The Intrepid Sea, Air, and Space Museum is one of the grandest and historic military museums in the world. This is a definite must-see for any fan of military history – or history in general. This museum and National Historic Landmark showcases four of the most important military and maritime vessels in modern history. Marvel at the Intrepid, the legendary aircraft used during the Cold War and the Vietnam War. Step inside the missile submarine Growler – it’s not every day that you get to enter one! You can also take a closer look at the Enterprise, which is the world’s first space shuttle, as well as the British Airways Concorde. The museum also features fighter planes and other smaller but equally fierce fighting machines. 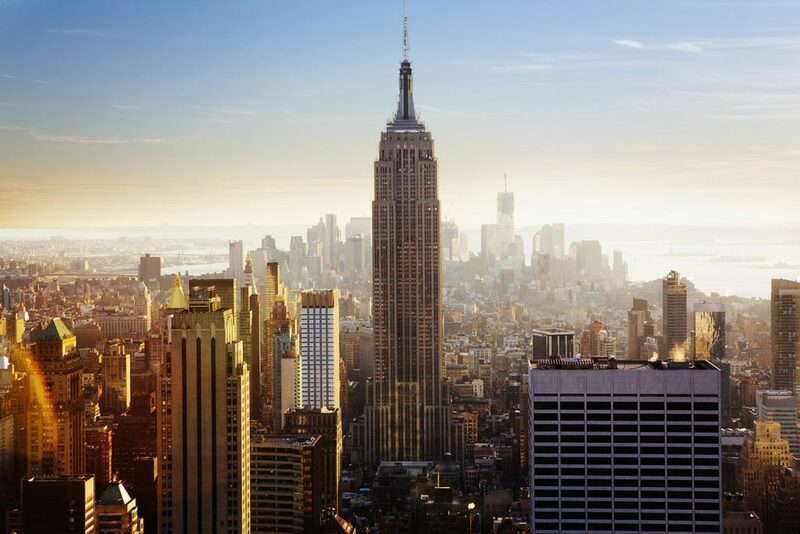 The Empire State Building is a world’s most famous building. Built in 1930, it features art murals and also hosts exhibitions. The building is also popular for putting up light displays for two reasons. One is to honor personalities and organizations who made great contributions to American society. The second is to express solidarity with various communities inside and outside the United States during times of tragedy. 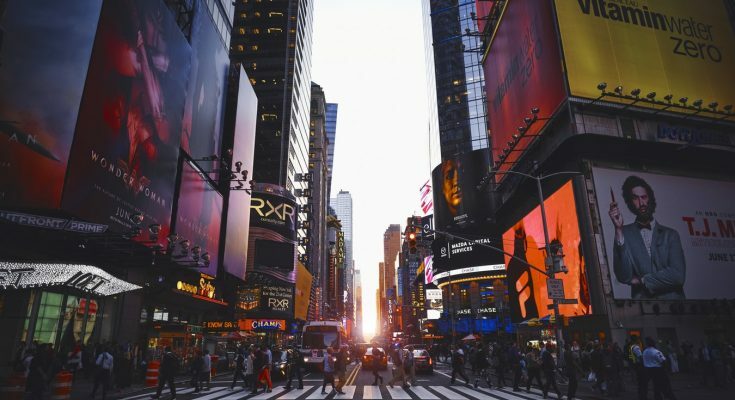 An elevator will take you to the 86th Floor Open Air Observatory Deck where you’ll get to see a majestic and panoramic 360-degree view of the city. There are also multilingual tourist guide headsets at the deck that you can listen to while admiring the view. 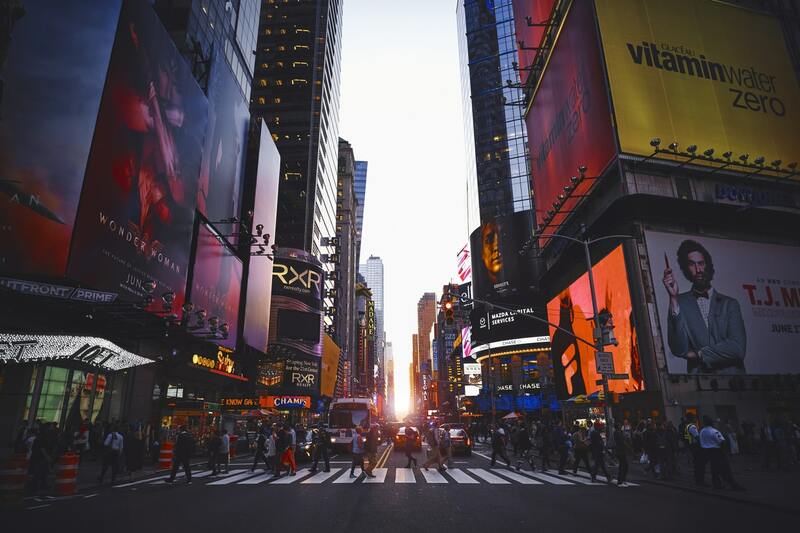 You can also admire the city that never sleeps on top of the Rockefeller Center, another one of New York’s most iconic structures. 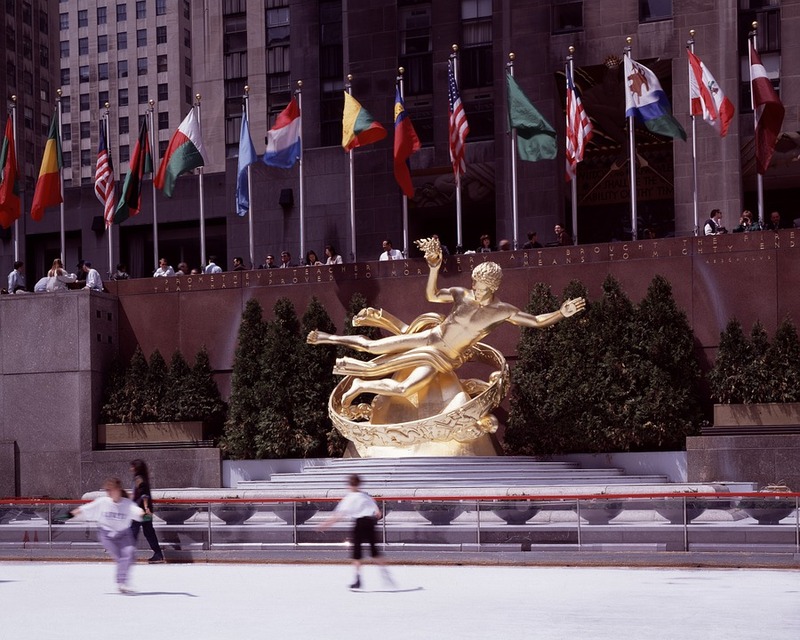 Named after business mogul John D. Rockefeller, the building boasts of its open-air 360-degree viewing deck on the 70th floor which was built in 1939. Go up to this deck to have a breathtaking view of the city’s equally famous landmarks, including the Brooklyn Bridge, the Statue of Liberty, the Chrysler Building and Central Park.